Abergeldie Complex Infrastructure (Abergeldie) in a joint venture with partners RCR Tomlinson (RCR) and Stantec Australia (Stantec) is pleased to announce that an initial 3-year Framework Agreement plus extensions of up to a further seven (7) years has been executed with Melbourne Water to deliver critical projects for its Water and Sewerage Capital Works Program. Abergeldie, together with its partners, will deliver a program of works covering a diverse range of design and construct and pipeline rehabilitation projects. Melbourne Water has indicated that the capital works program over the next 3-year period is valued at approximately $500 million. The program will be shared between Abergeldie and its partners, and one other preferred service provider. We are proud to have executed this agreement after Melbourne Water initiated a rigorous and innovative selection process with a particular focus on social procurement, which required all applicants to complete Hudson Safety Culture surveys and personality tests to identify cultural alignment. Abergeldie, RCR, and Stantec demonstrated that we were able to meet Melbourne Water’s requirements including commitment to business integrity, diversity, inclusion and reconciliation as well engineering and construction expertise, approach to safety, capability and cost. This agreement reflects another important step in Abergeldie’s 24-year history as an Australian owned multi-discipline construction company that delivers complex infrastructure contracts. Recent and current projects include a broad range of civil works, including structural remediation, wastewater treatment plants and reticulation facilities, potable water storage, roads, bridges, rail, dams, pipe lines, mine ventilation shafts, tunnels, electrical sub stations, materials handling and recreational facilities. Harker Underground Limited www.harker.co.nz was established in 1988 and is one of New Zealand’s most respected tunnelling and micro-tunnelling companies. Six years ago Hawkins www.hawkins.co.nz purchased Harker from Graeme Harker who founded the company. Over the last six years under the Hawkins umbrella Harker has grown and diversified. The governance of the business has been strengthened. The management systems have been developed and are now acknowledged as industry leading. The equipment has had significant investment. Mike Harker, the son of Graeme Harker, and Abergeldie Complex Infrastructure www.abergeldie.com have in the last few days agreed terms to jointly purchase the equipment and business of Harker Underground Construction Limited. Abergeldie will own 80% and Mike Harker 20% of Abergeldie Harker Limited. It is expected that the transaction will be completed on 28 February 2017. 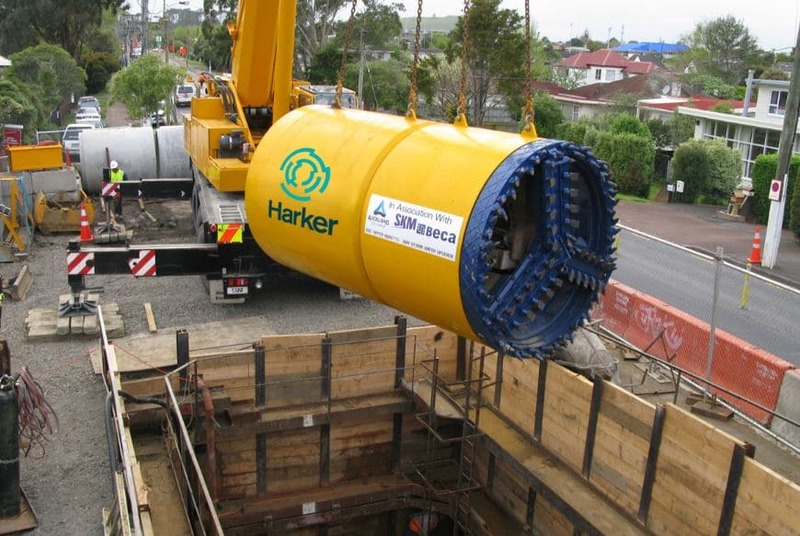 As well as shaft and tunnel construction Abergeldie Harker will bring to the New Zealand market some of the niche capabilities that Abergeldie has developed such as shaft sinking by blind boring, pipe relining, excavation by blasting as well as our capabilities in the water and rail sectors. Matt Mules, Harker National Manager, has been appointed General Manager of Abergeldie Harker. Abergeldie Harker is poised to grow and has the people, experience, systems and financial resources in place to become a significant player delivering complex infrastructure to water, wastewater, stormwater and rail asset owners across NZ. Press Release enquiries please contact Matt Mules on +64 274455635.